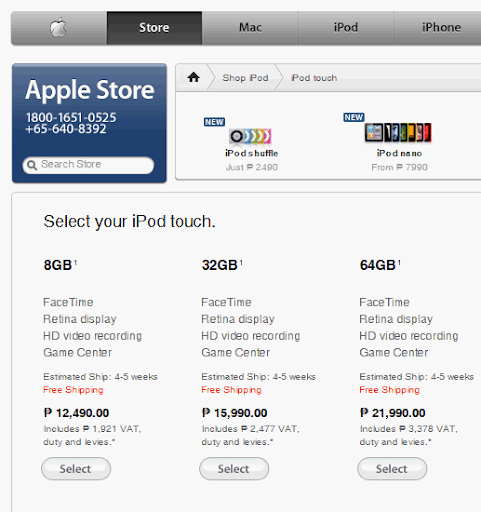 This post collates all relevant information on iPod Touch 4G in the Philippines. The new iPod Touch's Retina display, which is similar to iPhone 4's, has 960 x 640 pixels -- four times as many pixels than screens of previous generations of the device. The resulting 326 pixels per inch is incredibly dense that the human eye is unable to pinpoint individual pixels when the gadget is held at normal distance. This makes images, videos and text look a lot sharper and more realistic. 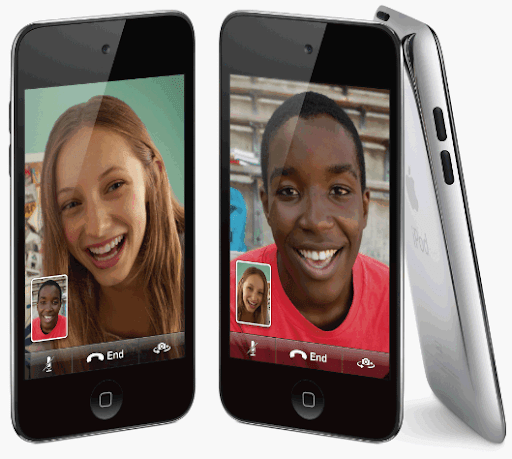 Flaunting a new front-facing camera with mic, 2010 iPod Touch allows users to make FaceTime video calls via WiFi. With a single tap on the FaceTime app, iPod Touch owners can call other iPod Touch or iPhone 4 users to see what they're up to, share life moments and even show others what they are seeing by switching to the back camera. iPod Touch's rear-facing camera supports 720p HD video recording. Note that this is the first time that an iPod Touch actually donned a camera -- and Apple went all out by making it HD. Now, users can now easily capture HD videos wherever they are and share them via email, YouTube and MobileMe. The new Apple A4 chip, which also powers both iPad and iPhone 4, provides the 2010 iPod Touch with exceptional processing power and graphics performance along with an extended battery life. This remarkably power-efficient and fast chip, combined with 3-axis gyro and the Retina display, makes iPod Touch an excellent gaming device. 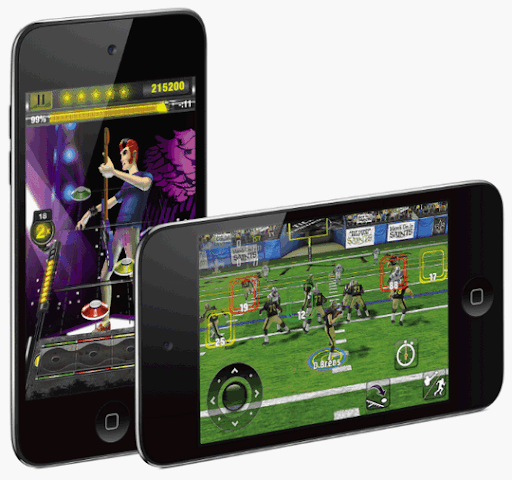 The iPod Touch is actually the world's most popular portable gaming device. Now with iOS 4.1 Game Center feature, iPod Touch users can opt to challenge and play with friends or be automatically matched with new gaming opponents. This new Game Center allows iPod touch users to showcase their scores and discover new games other iPod Touch users are playing. Logging on to the iPod Touch App Store, users can access the world's largest app catalog with over 250,000 apps and over 65,000 games and entertainment titles to pick from. 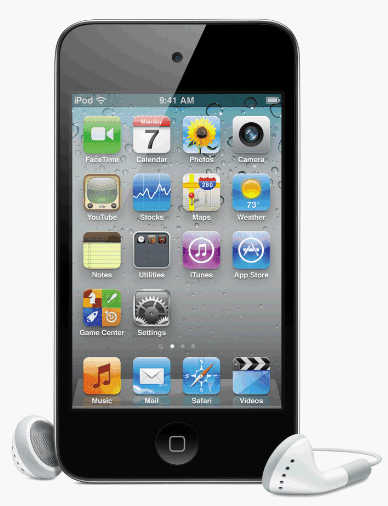 iPod Touch 4th Generation comes in only one color: Black with Metallic back case. Philippine pricing details are as follows: Php 12,490 for the 8GB version, Php 15,990 for the 32 GB version and Php 21,990 for the 64GB version. Please stay tuned for TP's full review of the 2010 iPod Touch. Off hand though (just looking at the photos and the specs sheet), I believe it should be an incredibly good and 'sulit' buy.